Rosecombs are best suited for the show floor as they are poor egg layers, have very little meat on their frame, and have high mortality rates as chicks. Since they’re popular on the breed show circuit, expect to see a lot of them in standard competitions. Rosecombs are not the friendliest of chickens with roosters being very aggressive, though when raised properly these traits can be reduced significantly. This is most likely a trait that developed due to their low mortality rates, so they’re ready to fight for survival wherever possible. They love to fly and are quick to crow at the first sign of danger. Rosecombs get their name from their unique red combs that look similar to a rose. Their combs are proportionally large compared to their small bodies. 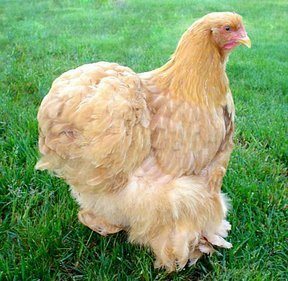 They are a pure bantam, so there is there is now larger size than what you see here. They have pronounced white ear-lobes and a full tail that gets carried high. They come in a large variety of colors, though the most common are black, white, and blue. Rosecombs are simple to keep as they do well in confinement. 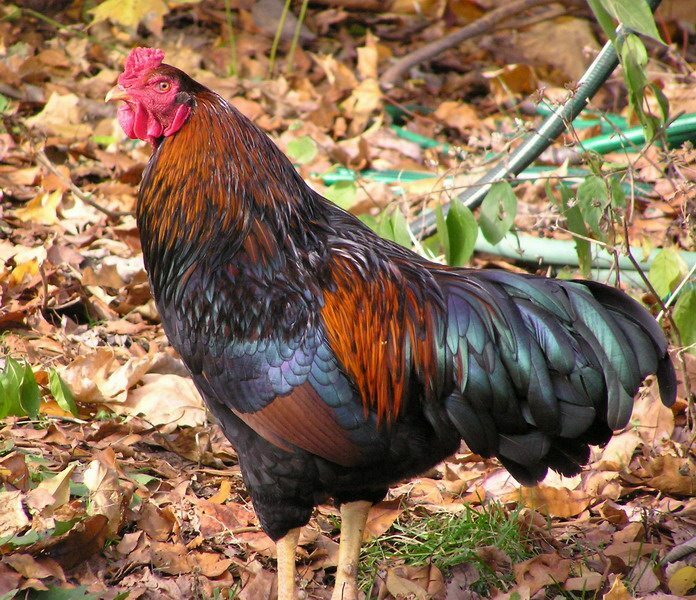 It’s not recommended to keep more than one rooster together though as they are prone to fight with one another. They also have very high mortality rates as chicks, so be aware that a clutch of eggs may be whittled down substantially as the maturing process takes a long time. Once they make it to adulthood, however, they’re perfectly strong and healthy. Figuring out the Rosecomb’s precise origin is a difficult task. Originally shown as “Africans” during the first breed show in Boston during 1849, we can follow them back to the 24th century and Britain where their popularity soared when King Richard III to a liking to them and began raising them. They were admitted into the American Standard of Perfection in 1874 and have been popular with breeders ever since.